The Fine Dentistry team is here to assist you in achieving the best smile possible, with high-end equipment, the latest in training and skilled dental practitioners who love what they do. 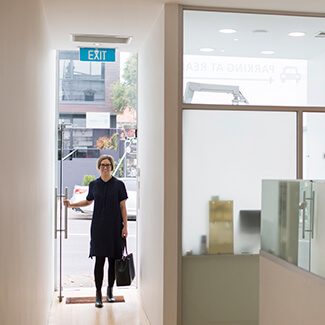 We are a qualified, friendly team, bringing excellence in dentistry to Canterbury and surrounds. We all want a dentist who is well versed in their field, passionate about their craft and steadfast in working with their hands. 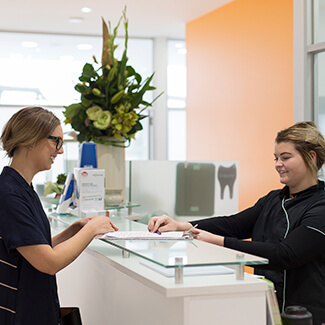 Canterbury patients are fortunate to have a passionate and experienced Dental Team providing the very highest standard in dental care. With particular attention to preparation, you can rest assured your dental work will have increased longevity, be easy to maintain and of the highest craftsmanship. Our All-on-4 implant system is the jewel in our crown, with the advantages of immediate loading, no graphs and overall cost-effectiveness. Traditionally, the number of implants range from six to eight. As the name suggests, All-on-4 reduces the number of implants from eight to four, resulting in an easier to clean finish. Both Dr Sharma and Dr Shaw have completed extensive further training in both implants and orthodontics and are highly knowledgeable when it comes to tailoring restorations and straightening solutions to suit your individual needs. As everyone is unique, each patient is consulted accordingly with all options presented. Our implants are tailored to encompass individuality in bone structure, whether or not there is grinding present and desired outcomes. Learn more about our practice by scheduling your first visit.